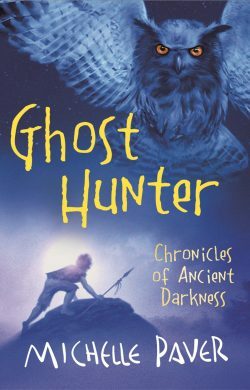 Ghost Hunter is the final book in Michelle’s Chronicles of Ancient Darkness series – and the book that won her Britain’s most prestigious children’s writing prize, the Guardian Children’s Fiction Prize. As winter approaches and Souls’ Night draws near, the Eagle Owl Mage holds the clans in the grip of terror. To fulfil his destiny, Torak must seek his lair in the Mountain of Ghosts. He must defy demons and tokoroths, and find his way through the Gorge of the Hidden People. Wolf must overcome terrible grief. Renn must make an agonizing decision. And in the final battle against the Soul-Eater, Torak must face the most heart-rending choice of all. just want to say I love the seris and was so upset when it end (the ending was great!!!). Please write more about torak and renn also wolf! May the gardian fly with you! Really loved the series. Just finished it today. It would be awesome if u wrote more about their adventures together. I love the series,and ive nearly finished reading it all by this book! ive started reading this one, and ihave only just realised that my reading time o this series is coming to an end! i dont wan it too! i might even re-read the whold series ( apart from the parts which might make me cry… mabye..) i hope you make more books. as sam said, may the gardian run with you. Though it was sad to see the ending of the book, as usual Paver gave it justice, just a we knew she would. Through out the series she has portayed all the charectars brilliantly. A beautiful endig, though it saddens me to see the series end. I am a girl in sweden (so excuse my language) and I have read your amazing books! 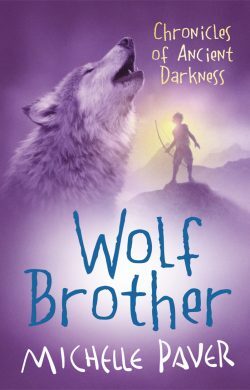 I am not alone about that I LOVE wolfbrother (all books!) But I have a problem; I cant stop think off the last book I just read out and I’m sad because it does not come out more books! And now my question: why cant you whrite only one more book to all youre readers? And the same as the other said; MAY THE GUARDAIN RUM WITH YOU. 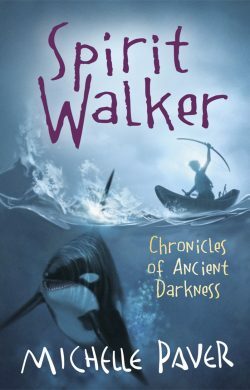 I love how you ended it, but the ending of Ghost Hunter doesn’t yet seem like the end of Torak’s story to be told. It seems like a great cliff hanger. I would love it if you wrote just one more book! Your series was one of my favorite books to read! I wish you luck on the other stories in your future books and may the Guardian(s) run or fly with you! Best series of fiction books I have ever read in my life and I so wish for you to carry it on further like Ashley suggested. I hear you (Michelle) are writing a new series that is supposedly better than CoAD and is set in the same Age and everything. I shall look forward to reading it too. I loved the series!It had a great ending but I think that it still needs one more book to top it all.Please, Paver just one more book. Your series were the best Ive ever read! Way to go! May The Guardian Run and Fly With You! Hello Paver! You know actually my real name is Renn. What a coincidence! Why dont you write one more book as Tall Tailless suggested. Your series were a real hit. Hope you follow our advises. May The Gaurdian Fly or Run With You! Whoo hoo !!!!!!! One more book just pleeeeeeeeeeese!!!!!!!! Hi!!! I’ve read the whole series apart from this one and they where so amazing I read them all in 3 days!!! please make some more! they are the best series ever!!! I don’t know why I’m asking this, but when was this book published? Was it 2010? I loved the series and please, please Im begging you, WRITE ANOTHER ONE!!! maybe write a prequel or sequel series or the stories from another persons point of view, something like that. Definately the best set of books Ive read in my life! they should make a movie of it, but dont let the americans do it because it will be nothing like ‘Wolf Brother’ and all the voices will have stupid accents. Yes I shed a tear, i practically gawped when I turned to the last page and it dawned on me this would be the last adventure I’d ever have with Torak, Renn, Wolf, Fin Keddin and all the amazing characters that we’ve met. But despite the sadness, It was an amazing end to an amazing series. I dont think ill ever read another book that will capture me like COAD has. No character, no other world has or ever will capture me like COAD. Thanks Michelle, truly an outstanding author! 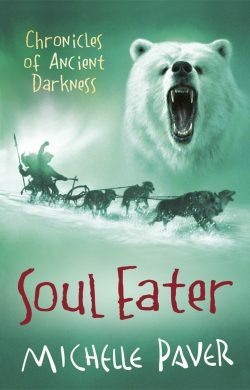 Hey Michelle i really loved these books the best ive ever read.However,i agree with everyone else please make at least one more book about Torak,Renn,Rip,Rek,Pebble and of course Darkfur.May the guardian run,fly and swim with you. Im from the USA…..You should drop by my small town of Albion PA sometime! Hiya,PLEASE WRITE ANOTHER BOOK!!!!!!!!!!!!!!!!!!!! they are amazing and i hope u write more!! i am dying to read ghost hunter as i haven’t read it yet!!! Best books i ever read!!!!! 🙂 xxxxxxx May the guardian run/fly with you! o pretty pretty please can you write one last book about Torak, Renn, and Wolf?? i’m am just dying for another book. i havent read a book this good in years! it’s my favorite book of all time. i will miss Torak and espically Renn so much!!!!!!! please????? also, what is the name of the new series your writing thts better than COAD???? The first time I read this book was in English, the translation was taking too long to be published and I just couldn’t wait more! I got so touched by the final pages, I remember the tears rolling down through my face like a waterfall as I was reading the last words! I didn’t know whether i was sad for the end or happy for the amazing final haha (maybe both of them)! I spent the whole year waiting for the translation of this book! Fourtunatly, it’s already been publiched and I’ve already re-read it! Now i’m again in the ‘post book depression’ haha, it’s hard to handle with the fact that I won’t know what will happen to Torak, Renn and Wolf! Thanks Michelle Paver, and congratulations for your extraordinary job! May the guardian run with you. Sorry fello readers that Michelle Paver might not make any more books. Which would have been great if she did, Michele’s books are full of exitment and wonder that fills the reader. Mrs. Paver if you shall write a nother book, we the fanns would like to know. From the 1st moment i read your 1st book i know it was going to a good time. I have shared your book with my friends and family they all like it. I am threaled that i got to read your book. Good luck and have funn. May your gurdian be at your side! I love your series wolf brother!Our class read the first book together as our literacy topic and I was very sad when we finished it for two reasons.1:we had finished the book and I didn’t know where to get the next one!2: I thought it was quite sad when wolf left Torak.I have just started Spirit Walker and i’m loving it already!I can’t wait to read all of them but I will also be very sad when I do! Peaaaaaaaaase make another book! its so good and awesome! i wuz so sad when it ended!! i wanna see wut happens so Renn, Torak and Wolf 🙁 i luv u Michelle! There are rarely books which as I finish I realize how good it is. Yours is definitely one of them. I know you don’t come on this site but can you please write another book? I beg you with my three souls. Even if you do write more books you should really really REALLY write another sequel to this book. I sure everyone wants you to write another. Something like there is another soul eater? it was a great book, with a open ending!!!! need to get this just found out that theres two more books after the fourth one lol GREAT SERIES!!!! to bad it ends with this one, but you should keep on writing books for this series!! I LOVED THIS BOOK!! Awhile ago, I introduced this series to my mom, and she kept telling me to hurry up reading it so that she could, but now that’s me telling her to hurry up. 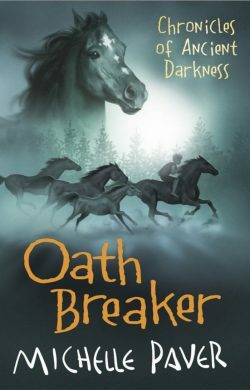 I agree with everyone that there should be just one more book, like what happened to Pebble, Darkfur, and (of course) Wolf, and if Torak and Renn ever mate and if they do what there kids were like. Also, maybe it could hold some information about how Dark and Fin-Kedinn and the Raven Clan are. Also, they should all have a HUGE reunion! It wouldn’t have to be that long, too. One more thing; PLEASE WRITE ANOTHER BOOK LIKE WHAT I SUGGESTED!!!!!!!!!!!! I WILL GET ON MY KNEES AND BEG!!!!!!!!! P.S. I know I am female, but I just had to put in my fav character in the whole series. Ok I know I already made a comment but I have more to say. I am a TOTAL GEEK and last night I had a dream about Torak and Renn and so forth. So it was six months after they left the Ravens, and they were just hanging out with the wolves and ravens. Apparently Eostra had a kid and before she died somehow gave her kid her powers. Now that kid was furious with Torak, so they decided to ruin his life and torture him. Back to where we left Torak and Renn. It was that same day, when all of a sudden there was a huge storm, and Renn, Wolf, Darkfur, Pebble, and the ravens disappear. Now Torak has to find them and kill the kid so that everything that he had to do and what the kid did would be forgotten. You can just add on to that! Sorry this comment was really long! I just LOVE all of the characters and want to read more about them. 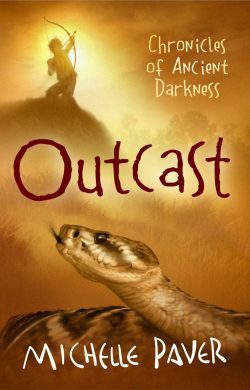 Pleeeease write another book about Torak, Wolf, and Renn! There are so many things that can happen after Ghost Hunter! I’m even RE-READING the entire series (Yes, it’s that good!) Come on! At least start another series where Torak is the main character (at least make it Wolf or even pebble!)! Oh, yeah! Sorry for leaving this out! May the Guardian run with you! 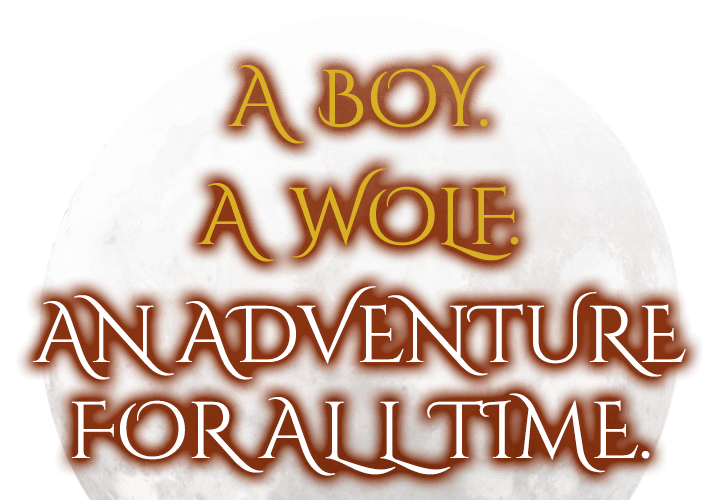 1st, Wolf Brother will now write as J Wolf (for now…) Second, Instead of one more book of the chronicles of ancient darkness, like Renn and TallTailless suggested, how about another series about Torak, Wolf and Renn? This time, maybe destiny takes them to another land, where they find a whole new set of adventures for the Listener! C’mon? What about it? …… PLEEEEEEEAAAAAASE oh please oh please, oh please write another book! I was crying at the end of the last one because I thought it was over… but.. maybe you can prove me wrong :’) . I love the COAD!!!! Pleeaase!….. I’ll take that as a yes! …Ok, ok. just write another after Gods and Warriors comes out….ok? I finnished this book and am just stunned. I believe there could be another series with Torak and Renn because of the other forest. There are so many more evil things that one could possibly create. May the gaurdian run, fly, or swim with you. Oh my goodness!!!!! These books are truly amazing. You are so talented! The best series i’ve ever read! Pretty please write a couple more??!!!! May the Guardian run/fly/swim with you.